[Hong Kong] Donald Chan, cherrypicks’ SVP, Business Development, was invited by the Hong Kong Retail Management Association (HKRMA) to serve on the judging panel for the 2016 HKRMA Service & Courtesy Award Final Interview. 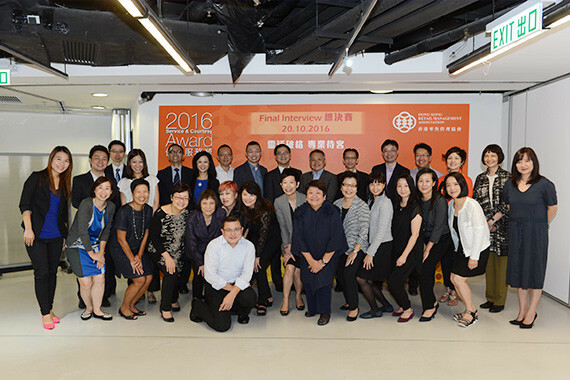 Donald Chan, cherrypicks’ SVP, Business Development, was invited by the Hong Kong Retail Management Association (HKRMA) to serve on the judging panel for the 2016 HKRMA Service & Courtesy Award Final Interview on 20 October. The panel interviewed individual participants from the Junior Frontline Levels and Supervisory Levels in 18 different retail industries as well as with exceptional retail stores.